Full Moon Fly Out is Set for Saturday, July 12th This month we are heading to the newly opened ‘Papps’ www.pappsbarandgrill.com at Westfield-Barnes Airport. A ‘Go, No-Go’ message will be on OPS at 978-897-3933. Tell us about your favorite fly-out spot and we’ll add it to our growing ‘Fly-Out Directory’ in OPS. The ‘IMC CLUB’ MEETSon the 3rd Tuesday (7/15) of each month in the Magenta classroom at 7pm. TINKER, TAILOR, BUILDER, PILOTgroup meets on the 3rd Saturday (7/19) of each month at Nancy’s at 11 for brunch, socializing, project tours and resource sharing. Mike Smith’s Sonex has now flown! Way to go, Mike, and all who have helped him on this journey! If you’re a builder, tinker, or just change your own oil, stop by to meet others of like mind! EAA CHAPTER 196 holds a BBQ on the last Monday of the month at 6pm on Nancy’s terrace. All are welcome. Their monthly Young Eagles Flight Rally will be held on Saturday, 7/12 from 9 until noon. ROTARY CLUB OF NASHOBA VALLEY meets at Nancy’s on the 2nd & 4th Thursdays at 5:45pm. All are welcome to come join in the fun at club meetings. ‘Wings and Wheels – Cruise-In/Fly-In’ evenings are set to resume Thursday, July 10th, and run through August – all are welcome to this fun event! Office, Hangar & Tiedowns available, but will go fast with runway repaved. Catch the ‘Minute Man Spirit’ at one of our events this month. ‘3/21’ REPAIR PROJECT UNDER CONSTRUCTION! THURSDAY JULY 10th @ 6pm in Nancy’s Café. All are invited to attend this important and festive occasion! Come and thank members of MDOT and legislature in person. Without their support, this project would not be happening!!! TINKER, TAILOR, BUILDER, PILOT group meets on the 3rd Saturday (6/21) of each month at Nancy’s at 11am for brunch, socializing and resource sharing. NO RUNWAY NEEDED FOR THIS EVENT – COME SEE. The ‘IMC CLUB’ MEETS on the third Tuesdays (6/17) in the Magenta Flight Training classroom at 7pm. DON’T NEED A RUNWAY FOR THIS EVENT – WILL INCLUDE A TOUR OF THE CONSTRUCTION! June’s Full Moon Fly Out is POSTPONED DUE TO RUNWAY CONSTRUCTION! Next month we will be heading to the newly opened ‘Papps’ www.pappsbarandgrill.com at Westfield-Barnes Airport. ROTARY CLUB OF NASHOBA VALLEY hosting ‘Wings and Wheels – Cruise-In/Fly-In’ Thursdays 5pm. Office & Tie downs now available – will go fast when runway is repaved. Taking reservations for a new T-Hangar, opening next year – get specs on-line now. ‘3/21’ REPAIR PROJECT ENTERING CONSTRUCTION PHASE! The RUNWAY WILL BE OPEN the week of June 2nd, while our contractors place erosion controls (silt fence and hay bales) and move their equipment onto our property into designated parking areas. The RUNWAY WILL BE CLOSED starting the week of June 9th for approximately two weeks. We will begin the repaving project by grinding up the old pavement, followed by grading, compacting and repaving. We will issue a NOTAM when we anticipate re-opening the runway. The AIRPORT WILL BE OPEN during construction for rotary wing only fueling operations. 6pm, JULY 10th in the Café. All are invited to attend this important and festive occasion! NANCY’S at the AIR FIELD will be open for their drive-in guests during runway construction. Nancy’s is now accepting reservations for Father’s Day, June 15th. Check for special Father’s Day menu on their always up-to-date web site, www.nancysairfieldcafe.com. Nancy’s ‘Pie in the Sky’ (wood-fired, thin crust pizza) will return for the summer on Thursday, June 5th (at Wings and Wheels) and will also be offered (new this year) on the Café Terrace Fridays and Saturdays from 4 to 7pm. Join your friends there for ‘Happy Pizza Hour’!!! TINKER, TAILOR, BUILDER, PILOT group meets on the 3rd Saturday (6/21) of each month at Nancy’s at 11 for brunch, socializing and resource sharing. Mike Smith’s Sonex was moved to the South Hangar East in May and has now passed its certification exam! Way to go, Mike, and all who have helped him on this journey! If you’re a builder, tinker, or just change your own oil, stop by to meet others of like mind! June’s Full Moon Fly Out is Set for Thursday, June 12th (if the runway has reopened) or June 19th. This month we are heading to the newly opened ‘Papps’ at Westfield-Barnes Airport. A ‘Go, No-Go’ message will be on OPS at 978-897-3933. Add your favorite spot to our ‘OPS Fly-Out Directory’. EAA CHAPTER 196 holds a BBQ on the last Monday of the month at 6pm on Nancy’s terrace. All are welcome. They will not be offering free rides this month due to runway reconstruction. ROTARY CLUB OF NASHOBA VALLEY meets at Nancy’s on the 2nd & 4th Thursdays at 5:45pm. All are welcome to come join in the fun at club meetings. ‘Wings and Wheels – Cruise-In/Fly-In’ evenings are set to begin Thursday, June 5th, and run for 12 weeks – all are welcome to this fun event! Office & Tie downs now available – will go fast when runway is repaved. Taking reservations for a new T-Hangar, opening next spring – get specs on-line. RUNWAY 3/21 REPAIR PROJECT NEARING CONSTRUCTION PHASE! 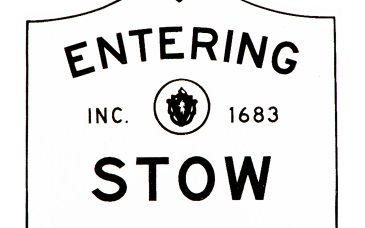 The Stow Conservation Commission issued the permit for our State supported runway repaving project on 4/15. A contractor has been chosen from the seven who bid for the job. We expect to be paving (closed for a week or two) in early June. Watch for updates in our June ‘NOTAM’. NANCY’S at the AIR FIELD is accepting reservations for Mother’s Day and will be OPEN on Memorial Day for all her hungry guests, but especially her pilot diners! Touch down soon. TINKER, TAYLOR, BUILDER, PILOT group meets on the 3rd Saturday (5/17) of each month at Nancy’s at 11 am for brunch, socializing and resource sharing. In April they organized a trip to Maynard to help a Sonex builder move his plane out of his basement into his garage. Next move will be to a hangar for assembly. Way to go! If you’re a builder, tinkerer or just change your own oil, stop by to meet others of like mind! The ‘IMC CLUB’ MEETS on the third Tuesdays (5/20) in the Magenta Flight Training classroom at 7 pm. Their monthly meetings help develop safety and proficiency in their members by using real world ‘Scenario Based Learning’. All are welcome to this free event, regardless of your rating. May’s Full Moon Fly Out Set for Thursday, May 15th is planned for the ‘121 Restaurant’ at the Waterbury-Oxford Airport in CT. The food is great and it couldn’t be more convenient. A ‘Go, No-Go’ message will be on OPS at 978-897-3933. Check out the new restaurant at KCEF, which reportedly opened on 5/5 and let us know how it is (http://pappsbarandgrill.com). If it’s a winner, we’ll add it to our ‘Fly-Out Directory’. EAA CHAPTER 196 meets on the last Monday of the month at 7 pm in the Magenta/Noble classroom. Young Eagles Rallies (free flights for children) take off on the second Saturday, WX permitting. All are welcome! ROTARY CLUB OF NASHOBA VALLEY meets in Nancy’s on the 2nd and 4th Thursdays at 5:45 pm. All are welcome to club meetings. WINGS & WHEELS – Cruise-In / Fly-In to begin June 5th. Come join in the fun!!!. Office, Hangar & Tie downs available, but will go fast when runway is repaved. RUNWAY 3/21 REPAIR PROJECT UNDERWAY! The next step in our long-awaited, State supported, runway repair project will be a Stow Conservation Commission hearing at 8pm on April 1st in the Stow Town Building. If you want to help get this paving project completed, please consider attending and speaking up on behalf of airport safety. If all goes according to plan, we will be closed for paving during the first two weeks of June. Watch for updates in our May ‘NOTAM’. ‘HANGAR TALK’ is set for Saturday 4/5 at 8:30 am at Nancy’s Café. Join aviation enthusiasts, future/current pilots and airport supporters on the 1st Saturday of the month to learn about GA, share your flying experiences and plan future events. Go to www.FOMA-6B6.com for their latest news! TINKER, TAYLOR, BUILDER, PILOT is a new group that has ‘formed up’ at Minute Man. They meet on the 3rd Saturday (4/19) of each month at Nancy’s at 11 for brunch, socializing and resource sharing. In March, they held an ‘Off Campus’ meeting at the home of a builder in Maynard who needed help getting his Sonex out of his basement and into his garage. If you’re a builder, tinkerer or just change your own oil, stop by to meet others of like mind! NANCY’S at the Air Field and General Aviation have scored another ‘Win’. She was featured in the March 23rd Sunday Globe Magazine in a story about nearby airport restaurants. Congratulations to Nancy and GA! PS: the story makes a great ‘places to fly to’ list. The ‘IMC CLUB’ MEETS on the third Tuesdays (4/15) in the Magenta Flight Training classroom at 7pm. Their monthly meetings help develop safety and proficiency in their members by using real world ‘Scenario Based Learning’. All are welcome to this free event, regardless of your rating. April’s Full Moon Fly Out Set for Thursday, April 17th. We will return to the ‘121 Restaurant’ at the Waterbury-Oxford Airport in CT. The food is great and it couldn’t be more convenient. Turn off at ‘G’, taxi straight ahead, park right in front and hop inside. This is our new ‘Go TO’ fly-out restaurant. Join us this month and make it yours, too! A ‘Go, No-Go’ message will be on OPS at 978-897-3933. Please send us your favorite breakfast, lunch or dinner destination to add to our ‘Fly-Out Directory’. ‘IFR ALTERNATE’ If the WX is less than CAVU for our ‘Full Moon Fly Out’, we will meet at Carbone’s Italian Restaurant in Hopkinton at 7pm on Thursday April 17th. When you arrive, ask for owner Pete Carbone (A-36 based at 6B6) and tell him you’re a 6B6 pilot. He’ll take good care of you. FLY-OUT DIRECTORY Please send us your favorite breakfast, lunch or dinner destination to add to our ‘Fly-Out Directory’. We are also gathering info on the best places to fly to and then bike – send us your thoughts please. Watch for this online and as a display in OPS over the next month. EAA CHAPTER 196 meets on the last Monday of the month at 7pm in the Magenta/Noble classroom. All are welcome to attend. Yet another assurance of spring’s arrival: Chapter 196 will resume Young Eagle Flight Rallies (free flights for children aged 8 – 17) on April 12th from 9 to noon. Hooray!!! ROTARY CLUB OF NASHOBA VALLEY meets in Nancy’s on the 2nd and 4th Thursdays at 5:45pm. Sign up for on-line delivery of our monthly ‘NOTAM’ below! YOU CAN TELL SPRING IS HERE because our daffodils and tulips are pushing up and the birds are already checking out your cowlings (and other openings) for nest sites! Along with the warmer days comes our short ‘Mud Season’. Watch for NOTAMs and notices on our access keypads restricting ramp access and possibly closing RWY 12/30 for brief periods. Check out the ‘New and Improved’ grounding reels at the pump island area for your safety installed by 6B6 Chief of Operations, Trevor Hennessey. Plus Daylight Savings returns Sunday, March 9th along with flying after work – hooray! ‘HANGAR TALK’ is set for Saturday 3/1 at 8:30 am at Nancy’s Café. Join aviation enthusiasts, pilots, future pilots and airport supporters on the 1st Saturday of the month to learn about GA, share your flying experiences and plan future events. Hosted by Friends of Minuteman Airfield – check their website for their latest news! TINKER, TAYLOR, BUILDER, PILOT is a new group that has ‘formed up’ at Minute Man. They meet on the 3rd Saturday (3/15) of each month at Nancy’s at 11 for brunch, socializing and resource sharing. If you’re a builder, tinkerer or just change your own oil, stop by to meet others of like mind! NANCY’S at the Air Field will celebrate the Irish March 14, 15 & 16. The ‘IMC CLUB’ MEETS on the third Tuesdays (3/18) in the Magenta Flight Training classroom at 7 pm. Their monthly meetings help develop safety and proficiency in their members by using real world ‘Scenario Based Learning’. All are welcome to this free event, regardless of your rating. March’s Full Moon Fly Out Set for Friday 3/14 – Tuesday 3/ 18. The ‘121 Restaurant’ at the Waterbury-Oxford Airport in CT will be our destination. The food is great and it couldn’t be more convenient. Turn off at ‘G’, taxi straight ahead, park right in front of the restaurant and hop inside. Join us this month and make it your ‘Go To’ spot! Watch for a notice on which day to go or call OPS at 978-897-3933. Please send us your favorite breakfast, lunch or dinner destinations so that we can add them to our ‘Fly-Out Directory’ located in OPS. ‘IFR ALTERNATE’: If the WX is less than CAVU for our ‘Full Moon Fly Out’, we will meet at Carbone’s Italian Restaurant in Hopkinton at 7pm, Saturday 3/15. When you arrive, owner Pete Carbone (A-36 based at 6B6) will take good care of you. Go-No/Go info will be on 978-897-3933. X-C SKIING AT MINUTEMAN – While the snow holds on, pilots (Security Badge required) and their guests are welcome to ski on our groomed trails for free anytime we are open. Come and enjoy the vast open spaces conserved by the airport. Please check in at the OPS Office before going out. All are welcome! Owner/Manager Don McPherson’s annual Birthday Bonfire Bash is set for Sunday 3/2 at 4pm. Don provides a fire, a long stick & a small cake (he’s Scottish after all). Guests bring their own meat, rolls, beverage and jovial spirit (musical instruments encouraged). All are welcome. RSVP so Don knows how many ‘sticks’ to provide. No gifts please (unless you insist on bringing a single malt!). ROTARY CLUB OF NASHOBA VALLEY meets at Nancy’s on the 2nd and 4th Thursdays at 5:45 pm. All are welcome to drop in and check them out. RECORD TURNOUT FOR ANNUAL ‘Kick Off’ PARTY! Over 60 Airport Customers, Rotarians, Vendors, Pilots, Aspiring Pilots, Café Patrons, Farmers, Friends & Neighbors braved the cold outdoor temperatures, crowded into the warm South Hangar, enjoyed Nancy’s version of Coney Island Hot Dogs, and each other’s company. They came to hear that the state of the airport is “Good” from owner/manager Don McPherson, that the Rotary Club will be hosting ‘Wings and Wheels’ again this year from club President Laura Spear, that pro-aviation legislation has much support in the State House due to aviation’s positive economic impact from Representative Kate Hogan, that Avidia Bank is happy to be financing upcoming airport improvements from President Mark O’Connell and that Steve Budd from Pepperell won this year’s FOMA contest and a $50 gift certificate from Nancy’s at the Airfield for Landing at All Mass Airports in 2013. The highlight of the event was the signing of contracts by Don McPherson and Chris Willenborg, MDOT-Aeronautics Division Executive Director, for state funding of engineering services with Stantec Consulting, which will ultimately lead to repaving Runway 3/21 this spring! TINKER, TAYLOR, BUILDER, PILOT is a new group that has ‘formed up’ at Minute Man. They meet at Nancy’s at 11 for brunch, socializing and resource sharing on the 3rd Saturday (2/15) of each month. If you’re a builder, tinkerer or just change your own oil, stop by to meet others of like mind! NANCY’S at the Air Field will be OPEN 8 – 3 President’s Day, 2/17. The ‘IMC CLUB’ MEETS on the third Tuesdays (2/18) in the Magenta Flight Training classroom at 7pm. Their monthly meetings help develop safety and proficiency in their members by using real world ‘Scenario Based Learning’. All are welcome to this free event, regardless of your rating. February’s Full Moon Fly Out Set for Tuesday 2/ 11 – Sunday 2/16. We will return to the ‘121 Restaurant’ at the Waterbury-Oxford Airport in CT. The food is great and it couldn’t be more convenient. I-495, I-290, the Mass Pike and CT-84 are close by on your left on the way down and the view passing over Hartford is breathtaking. Park right in front and hop inside. You can pick up menus in the OPS Office to get a better feel for what’s in store for you. This is my new ‘Go TO’ fly-out restaurant – join us this month and make it yours, too! Watch for a notice on which day to go. ‘IFR ALTERNATE’ – if the WX doesn’t cooperate for our ‘Full Moon Fly Out’, we will meet at Carbone’s Italian Restaurant in Hopkinton at 7pm, Thursday 2/13. This based pilot owned spot is perfect for our ‘southern gang’ to gather and enjoy each other’s company. Go-No/Go info will be on 978-897-3933. X-C SKIING AT MINUTE MAN – All Pilots (Security Badge required) and their guests are welcome to ski on our groomed trails for free anytime we are open. Check in at the OPS Office. Join us and discover a new way to enjoy our aviation environment! *The ‘BEST FUEL PRICE’ is subject to change during the month when a new fuel shipment starts flowing. EVERYONE is invited to our annual ‘Kick Off’ Party! The festivities will include the ‘State of the Airport’ by Don McPherson, ‘Wings and Wheels’ wrap-up by Laura Spear, Rotary Club of Nashoba Valley President and ‘W&W’ Committee Chairman, state aviation overview by Chris Willenborg. Executive Director, MDOT – AD (invited), aviation legislative overview by State Representative Kate Hogan (invited), introduction of new EAA 196 officers and presentation of ‘LAMA’ awards by Greg Sheets of FOMA and Nancy. NANCY’S at the Air Field will be OPEN 8 – 3 Martin Luther King Day. The next ‘HANGAR TALK’ breakfast social hosted by FOMA will begin at 8:30 am Saturday 1/4 at Nancy’s. Planning will continue for their Winter Kickoff Party in the South Hangar on January 23rd, the ‘FOMA Club House’ and next summer’s ‘Fly-In / Drive-In’ events. The next ‘IMC CLUB’ MEETING will be held in the Magenta Flight Training classroom on Tuesday, 1/21 at 7pm. Their monthly meetings help develop safety and proficiency in their members by using real world ‘Scenario Based Learning’. All are welcome, regardless of your rating. January’s Full Moon Fly Out Set for the 13th – 19th. We will return to the ‘121 Restaurant’ at the Waterbury-Oxford Airport in CT. The food is great and it couldn’t be more convenient. I-495, I-290, the Mass Pike and CT-84 are close by on your left on the way down and the view passing over Hartford is breathtaking. Park right in front and hop inside. You can pick up menus in the OPS Office to get a better feel for what’s in store for you. This is my new ‘Go TO’ fly-out restaurant – join us this month and make it yours too! Watch for a notice on which day to go. TINKER, TAYLOR, BUILDER, PILOT is a new group that has formed up at Minute Man. They meet at Nancy’s at 11 for lunch and socializing on the third Saturday (1/18) of each month. If you’re a builder or a tinkerer or just want to know how to change your own oil, stop by. All are welcome!